If you’re feeling sandwiched between caring for your children as well as helping to meet the needs of an elderly loved one with chronic illness or disability – you’re not alone. According to Carers UK, there are currently c.2.4million people in the UK in the same position1. There is no question that carers are vital and valued – but are they given the tailored support that they need? We’re not sure. In some circumstances people feel forced to give up work or torn between supporting their children and their elderly relatives which can in turn impact on their own sense of wellbeing. If you’re finding yourself sandwiched and unsure of where to turn, we’ve put together a short guide that we hope will help you feel better equipped to cope. Asking visiting family if they’ll make the tea – as glib as this sounds many carers find accommodating visitors can bring additional stress. Asking them to help out with a very small task makes them feel useful and gives you one less thing to do. It can be difficult to maintain a social life when you’re busy caring for others as well as trying to meet family commitments – you may feel that you don’t want to ‘burden’ anybody with your worries. In instances like this, it’s important to find ways to meet with and talk to people who can understand what you’re going through – whether in person or online. Your local GP surgery will be able to provide / connect you with information on local carers groups. To be able to give to others, it’s important to take some time out for yourself. Whether it’s starting the day with twenty minutes of meditation, or simply sitting in front of the television with a cup of tea, spending some time refuelling your own energy reserves should be high on any carer’s priority list. It may also be that there are certain tasks that you could use a break from – if you’re already managing a full household’s worth of laundry and cleaning every week, it wouldn’t be unreasonable for you to not feel like cleaning another relative’s home. 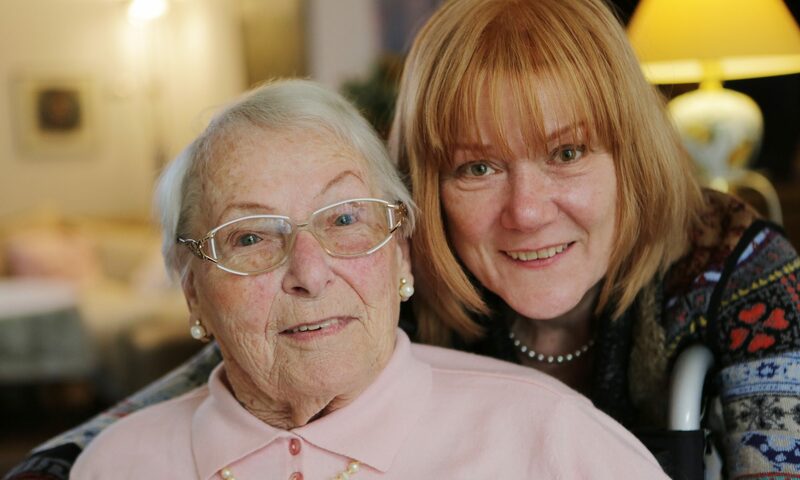 Alternatively, if your relative requires specialist help with medication or they need lifting, you may lack confidence which makes you feel stressed. In both instances, bringing in help for those tasks could make a material difference to both you and the person you’re caring for. Our website has a list of tasks that could help you to prioritise where you need help: www.helpd.co.uk/services/. It’s extremely important to acknowledge that care needs can change over time – if your relative has a degenerative or terminal illness, the initial care that you give may not meet their needs in the longer term. In these instances, it is worth researching the next stage of care options early so that you can make a well-informed decision that allows you to agree together what the next steps will be.